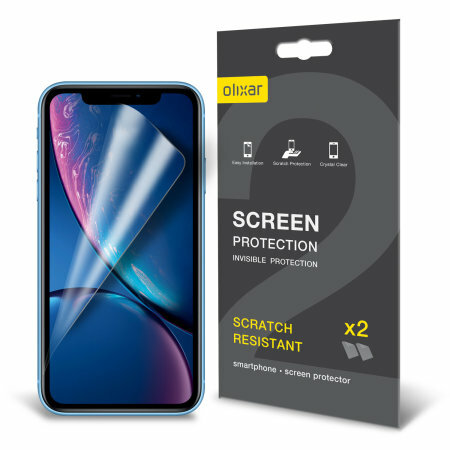 Keep your iPhone XR screen in pristine condition with this Olixar scratch-resistant screen protector 2-in-1 pack. Ultra responsive and easy to apply, these screen protectors are the ideal way to keep your display looking brand new. It’s quite fiddly to put on and the instructions aren’t very clear - the drawings are really small. I attached the guides to the wrong side by mistake. However it went on eventually and I got most of the bubbles out - the little card isn’t that useful. But once it’s on it sticks well and doesn’t appear to interfere with touching the screen.